Federal Reserve chairman Ben "Printing Press" Bernanke and his fellows around the FOMC oak table may appear being behind the curve since the onset of the debt crisis in August 2007. Its erratic rate policy rather followed loud calls from Wall Street pundits, establishing such nicknames like Nanny Benny or even Ben Dover. But one has to wonder whether the Fed has really been all that clueless about the disastrous implications of a property market gone white hot, fuelled by cheap credit and next to no loan requirements. Re-reading Bernanke's most infamous speech titled "Deflation: Making Sure 'It' Doesn't Happen Here" from November 2002 I am surprised that Bernanke had been actually quite prophetic about the future policy of the Fed. At the same time he also touched the issue of zero interest rate policy (ZIRP), saying that the Fed could manipulate the long end of the market in order to keep financing costs low. Bernanke has certainly made good on its promise to prevent deflation, continuing the easy money policy his predecessor Alan Greenspan had conducted in order to prevent all possible market meltdowns that came along. From the Black Monday '87, the mini crash '89, the Asian currency crisis in the mid 1990s, Long Term Capital Management in 1999, to the dot.com bubble in 2000 and the property bubble in this millennium the Fed has always thrown fresh credit at every problem that came along. Read the following excerpts from Bernanke's speech that established his image of an inflationista and earned him the nicknames "Helicopter Bernanke" and "Ben electronic printing press Bernanke." ...a deflationary recession may differ in one respect from "normal" recessions in which the inflation rate is at least modestly positive: Deflation of sufficient magnitude may result in the nominal interest rate declining to zero or very close to zero. Once the nominal interest rate is at zero, no further downward adjustment in the rate can occur, since lenders generally will not accept a negative nominal interest rate when it is possible instead to hold cash. At this point, the nominal interest rate is said to have hit the "zero bound." ...Beyond its adverse effects in financial markets and on borrowers, the zero bound on the nominal interest rate raises another concern--the limitation that it places on conventional monetary policy. Under normal conditions, the Fed and most other central banks implement policy by setting a target for a short-term interest rate--the overnight federal funds rate in the United States--and enforcing that target by buying and selling securities in open capital markets. When the short-term interest rate hits zero, the central bank can no longer ease policy by lowering its usual interest-rate target. Bernanke then also admitted that a ZIRP diminishes the arsenal of weapons the Fed has. Now they boast of unspecified tools ready to direct interest rates. 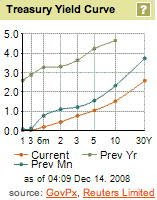 Because central banks conventionally conduct monetary policy by manipulating the short-term nominal interest rate, some observers have concluded that when that key rate stands at or near zero, the central bank has "run out of ammunition"--that is, it no longer has the power to expand aggregate demand and hence economic activity. It is true that once the policy rate has been driven down to zero, a central bank can no longer use its traditional means of stimulating aggregate demand and thus will be operating in less familiar territory. ...However, a principal message of my talk today is that a central bank whose accustomed policy rate has been forced down to zero has most definitely not run out of ammunition. As I will discuss, a central bank, either alone or in cooperation with other parts of the government, retains considerable power to expand aggregate demand and economic activity even when its accustomed policy rate is at zero. Suffering from deflation phobia Bernanke then relied on the Fed's supervisionary powers in order to stabilize financial markets. The Fed should and does use its regulatory and supervisory powers to ensure that the financial system will remain resilient if financial conditions change rapidly. And at times of extreme threat to financial stability, the Federal Reserve stands ready to use the discount window and other tools to protect the financial system, as it did during the 1987 stock market crash and the September 11, 2001, terrorist attacks. Well, this obviously did not work in the current crisis where supervisors and authorities sat on their ears, eyes wide shut. Being by now the absolute high priest of ever expanding credit Bernanke sees his main task in growing debts to combat the ghosts of deflation. ...under a fiat (that is, paper) money system, a government (in practice, the central bank in cooperation with other agencies) should always be able to generate increased nominal spending and inflation, even when the short-term nominal interest rate is at zero. In order to keep the party fuelled by spending going Bernanke mainly wants to push aggregate demand. To stimulate aggregate spending when short-term interest rates have reached zero, the Fed must expand the scale of its asset purchases or, possibly, expand the menu of assets that it buys. Alternatively, the Fed could find other ways of injecting money into the system--for example, by making low-interest-rate loans to banks or cooperating with the fiscal authorities. Ironically Ben's most immortal quotes about helicopters and the electronic printing press are linked in context with the virtue of gold, which is in contrast to Federal Reserve Notes (FRN). Today an ounce of gold sells for $300, more or less. Now suppose that a modern alchemist solves his subject's oldest problem by finding a way to produce unlimited amounts of new gold at essentially no cost. Moreover, his invention is widely publicized and scientifically verified, and he announces his intention to begin massive production of gold within days. What would happen to the price of gold? Presumably, the potentially unlimited supply of cheap gold would cause the market price of gold to plummet. Indeed, if the market for gold is to any degree efficient, the price of gold would collapse immediately after the announcement of the invention, before the alchemist had produced and marketed a single ounce of yellow metal. This may be the shortfall in Bernanke's thinking which is fixated on creating new credit. But growing government expenditures are certainly not the way to erode America's mountain of debt. Oh, and for the record, here again Ben's helicopter quote, where he referred to Milton Friedman's helicopter drop in order to keep the economy going. A money-financed tax cut is essentially equivalent to Milton Friedman's famous "helicopter drop" of money. 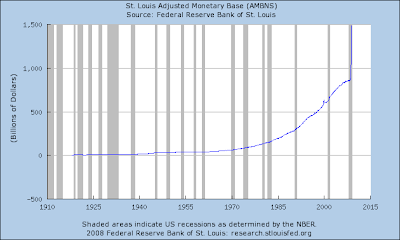 Still any doubts that Bernanke will ultimately be the death knell of the Fed, having created hyper inflation instead? Sharply lower energy prices have resulted in a sharp decrease of European consumer prices. The headline annual inflation figure for the 15 Eurozone countries plunged from 3.2% in October to 2.1% in November, Eurostat reported. Transport fuels accounted for most of the improvement, registering a 4.9% MOM decline. Monthly inflation was -0.5% in November 2008. Non-Euro members fare still worse. EU3 annual inflation was 2.8% in November 2008, down from 3.7% in October. A year earlier the rate was 3.1%. Monthly inflation was -0.4% in November 2008. East European countries are hit hardest. Relying on forex financing consumers are now stuck with higher installments for their Swiss Franc and Euro loans. In November 2008, the lowest annual rates were observed in Germany and Portugal (both 1.4%), and France and the Netherlands (both 1.9%), and the highest in Latvia (11.6%), Lithuania (9.2%) and Bulgaria (8.8%). Compared with October 2008, annual inflation fell in all Member States. The lowest 12-month averages up to November 2008 were registered in the Netherlands (2.2%), Portugal (2.8%) and Germany (2.9%), and the highest in Latvia (15.6%), Bulgaria (12.3%) and Lithuania (11.1%). From all European countries Iceland recorded the highest inflation rate with an annual rate of 20%. Find the complete table for all European countries here. Eurostat now sports slightly easier access to information. 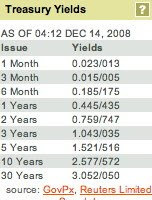 For a long term inflation table click here. Eurostat is currently redesigning its website that will offer charts too. As of today the chart feature does not work, at least with a Mac and Safari browser. As this slowdown in consumer price inflation is mostly based on plunging oil and gas prices whereas food is on the rise again, the HICP goods basket may not reflect current spending patterns of aging Europeans who are cutting back on more or less everything due to raising communal taxes and higher health spending. In the fictitious series of "The popularity of president George W. Bush" historians can add another graphical milestone. During his last visit to Baghdad a reporter threw his shoes at Bush, missing the ducking commander in chief by only a hair's width. Calling Bush a dog the reporter expressed his disgust with the person responsible for 100,000s dead civilians with two of the most serious insults in Arabic culture. Watch the 58-second clip to get an idea what legacy this president leaves behind. Having seen most of the bubbles bursting I had listed in this post from 2005 the world may soon be in for the mother of all bubbles. With a size of $10 trillion the US government debt market has remained the world's #1, now that MBS have shed the better part of their initial values. US treasuries have long been hailed as a safe haven for money fleeing from other overheated markets. Massive losses in more or less all other asset classes in the past 15 months have shown that investors followed Pavlov's reflexes, driving the 10-year yield to a record low of 2.55% last week. CHART: The yield for 10-year US Treasury debt fell to a record low of 2.55% last week. This chart may see a sudden reversal based on the fundamentals. It may be questioned whether this trust into the Federal Reserve's ability to contain long term inflation is justified, given the fact that chairman Ben Bernanke will enter history as the fastest money printer of all times. While the Fed has reduced its federal debt holdings by $290 billion to $484 billion (buying doubtful MBS instead) in the last 12 months it was foreign investors TIC data and Treasury statistics show. This has driven yields across the curve to record lows, leaving investors with a negative real yield when discounting inflation. US Inflation was 3.7% YOY as of October. Institutional investors have been allocating more money into US treasuries recently, citing the safe haven status of American government bonds. But this era may be coming to an end as so many things do nowadays. There appears to be a split of opinion. While European and American investors follow the old rule of buying US debt with a questionnable AAA rating their Asian counterparts see themselves trapped with US debt holdings they cannot sell in order to avoid a panicky stampede out of the biggest market of all. The deficit outlook justifies a skeptical approach. Barack Obama will have to finance a budget deficit of an estimated $1 trillion in 2009, the biggest in American history. If Mr. Obama will not manage a U-turn in foreign policy which was mainly based on ignorance and arrogance under Bush, he could run into financing problems. China has urged other countries to replace Federal Reserve Notes with their own currencies in bilateral trade and voiced its concern about US fiscal policy repeatedly. The global downturn may bring a different borrowing climate too. Losses in all asset classes across the board and record low yields will result in lower reinvestment amounts overall, it can be safely projected. The borrowing needs will skyrocket as both the federal government and bankrupt local communities will scramble for funds to replace sudden drops in tax revenues. While still being a mainstay for investors from all around the world, not everybody is confident about the future of a USA in the grip from the biggest financial crisis ever. Some wary souls are increasingly buying insurance against a default of the US government. According to a Reuters report from November 26, credit default swaps involving Treasuries reached a record high. Ten-year U.S. Treasury CDS widened to 54.7 basis points from Tuesday's close of 50.0 basis points, credit data company CMA DataVision said. Five-year Treasury CDS jumped to a record 52.0 basis points from Tuesday's close of 47.50 basis points, it said. In plain language this means investors were willing to pay $54,700 to insure a portfolio of $10 million 10-year debt paper. Summarizing the fundamentals such as no end to new debts, tax shortfalls, higher social and military expenditures, a central bank willing to monetize the debt and flooding the world with fresh Federal Reserve Notes, it can be safely bet that this bubble will end like all bubbles: In a gigantic burst that will unsettle everything we have learned about investing in the past. A hat tip to Econbrowser who undug this paper by Stanford economics professor John Taylor on the failures of the Fed in the current crisis and why it all became worse this autumn. I stand by my opinion that monetary inflation is in the early stages worldwide and will have seeped through into the real economy in 2009/10. Having been burned by premature investments in ailing US companies the three biggest creditors of America are teaming up in order to push their agenda for a new financial world order since most European and American banks are trending towards bankruptcy, only held alive by irresponsible government guarantees these days. The tripartite cooperation will not only contribute to create a peaceful, prosperous and sustainable future for the region and international community, but also be crucial to address the serious challenges in the global economy and the financial markets, said the statement. 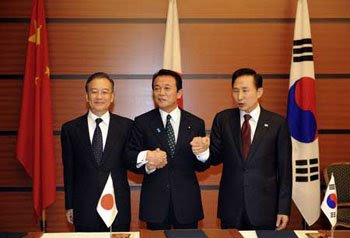 The statement also said the tripartite meeting in Fukuoka will pave the way for a new era of tripartite partnership which will lead to the peace and sustainable development in the region. The single biggest commonality between the 3 powers are their gigantic holdings of US debt and other US assets. Faced with the danger of exploding losses from these holdings because of America's nosedive into depression share a common problem they can only influence to a certain degree. As all other holders of US securities a stampede out of FRNs would wipe out a good part of these national savings. China can not only maintain a steady and relatively fast economic growth through efforts and getting over difficulties, but also elevate its economy to a new level by overcoming the ongoing financial crisis. China has repeatedly voiced its concerns with a dominant Western style financial system that is now failing on a wide scale. In the recent past China has tabled the future of the debt-ridden US economy, swinging widely between options. ...and most European citizens could not say what they are exactly doing and so would I. In 2009 the European Parliament (EP), highest authority in the European Union, will be elected for the seventh time since 1975 in June 2009. The EU Parliament has raised its level of influence since the 1990s after starting out more or less as a talk shop with no legislative powers that was overridden by the appointed EU Commission. Its first act of significant resistance dates back to 1999 when it forced the EU Commission under Jaques Santer to resign over a budget affair. With more than 320 million eligible voters it is the only EU wide election and voter turnout in 2004 was 45.6%. Despite its influence the EP is not anchored in the political conscience of most Europeans. In Austria there is a gut feeling that the EP is the scapegoat of national parliaments, pushing all discomforting political issues on a continent facing dramatically worsening demographics. This comes together with a general uneasiness about the loss of sovereignty of the EU member countries. A good example for recent disconcert is the drive to enact a Europe wide restriction of smoking in public places and entertainment venues. While hailing a free market ideology that has become the stumbling block for a proposed EU constitution the supra-national behemoth in Brussels has a tendency to overregulation that interferes with regional customs, culture and individualities. Empty cafes all over Europe with shivering customers preferring the outside smoking areas are a good sign for the lack of connection between bureaucrats and citizens. Citing protective health rights of non-smokers and wanting a EU wide smoking prohibition the EU has not yet touched Europe's biggest drug problem, alcohol. The drug of choice is certainly the biggest burden on national health systems. With legislative powers shifting to the EP, which affords two residences in Brussels and Strasbourg at the expense of EU taxpayers, this brings the problem of a lacking disability to protest effectively. How would you organize a 1000 km trek of 100,000 Austrians to Brussels? Overcoming the general distrust between bloggers and the traditional mainstream media and sensing a lack of awareness about the EP the non-profit European Journalism Centre (ECJ) has initiated a blogging contest that will bring bloggers from the 27 EU members together. Th!nk About It will be a common effort of this group of bloggers to report on the EP elections and this blog will be part of it, covering mainly the socioeconomic aspects of EU legislature. In a move not exactly designed to lower investors fears about rampant monetary inflation and other shady dealings without congressional oversight in the USA the Federal Reserve is battening down the hatches. While money printing has become a fairly transparent business for central banks in the past 2 decades, the Fed acts like comical Ali in Baghdad, claiming there is no fire when everybody can see plumy smoke. Going out of its way in order not to disclose documents related to the give-away of $2 trillion, the Fed rejected a Freedom of Information Act request by information provider Bloomberg that requested information about the recipients of this sizable addition to taxpayers burden. Bloomberg's move to sue the Fed is a novelty in journalism. The former bond trader who built the leading financial information provider from scratch in 2 decades has opened a front against the secretive Fed, a privately owned organization that has never been audited and is constitutionally questionnable. Bloomberg must know what he is doing. 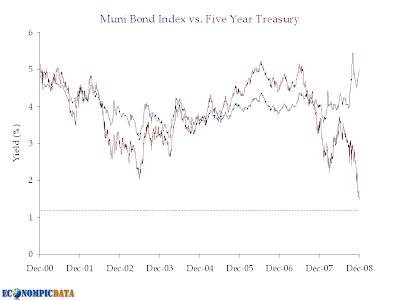 The rule #1 for bond traders was always "never fight the Fed." "Notwithstanding calls for enhanced transparency, the Board must protect against the substantial, multiple harms that might result from disclosure," Jennifer J. Johnson, the secretary for the Fed’s Board of Governors, said in a letter e-mailed to Bloomberg News. In its latest report on the matter Bloomberg quoted lawyers, journalists and market participants who share the desire to know more about the recipients of rapidly expanding Fed credit. Accoding to the Wall Street Journal bank credit is on a runaway pace and could top $3 trillion next spring. When all lending facilities are included, the Fed's balance sheet stood at over $2.26 trillion on Wednesday. Once recently announced programs to help consumer credit and mortgage markets are up and running, that figure should climb toward $3 trillion. The balance sheet was under $1 trillion as recently as mid-September. The U.S. commercial-paper market has expanded for seven consecutive weeks, jumping $48.6 billion in the latest week alone. Thursday's data suggest Fed purchases account for most of the growth in that sector. Banks are refusing to release this information too as it would shed a light on their financial weakness. Bloomberg is not alone in his fight. American lawmakers have demanded more transparency as recent as December 10. Congress is demanding more transparency from the Fed and Treasury on bailout, most recently during Dec. 10 hearings by the House Financial Services committee when Representative David Scott, a Georgia Democrat, said Americans had “been bamboozled. Media representatives tune into the choir for more transparency. It won't take 10 years to find out that an empire in decline has tried all dirty tricks to stay above the waterline. Eurozone member Austria is slipping into a recession these days that will last during 2009, the Austrian central bank said in a press release on Tuesday. Austria has been hit especially hard by economic woes in Eastern Europe, the traditional backyard of Austrian companies and banks that have been expanding into this region since the fall of the iron curtain in 1990. Thanks to a strong first half 2008 Austria will be able to record an overall GDP growth figure of 1.6% this year. The rapid economic contraction in Europe spells near term problems, though, leading to 0.3% lower GDP in 2009. 2010 should bring a reversal again with the Austrian central bank forecasting a 0.8% higher GDP again. "Despite difficult circumstances Austria's economy has grown through Q3 2008", central bank governor Ewald Nowotny said, adding, "that the global downturn presents Austria with a very serious challenge." Compared with the last projections from June 2008, the central bank has reduced its growth forecast for 2009 and 2010 by 2 and 1.6 percentage points. This is mainly based on lower private consumption growth and sinking gross investment expenditures. As most Eurozone countries the Austrian economy suffers from a rapid change in sentiment among both companies and consumers. Austria has not yet embarked on the irresponsible path of stimulus packages as they are currently being discussed in France, Germany and Spain. In the long term such stimulus packages are nothing else than an anticipation on future tax revenues with the additional burden of the interest to be paid for these loans. Unemployment is expected to pick up to a 2009 rate of 4.2% after 3.7% this year. Austria's federal debt will rise from a current 59.3% of GDP to 61.2% in 2009 and 63.1% in 2010. Real wages are forecasted to rise 1.2% in 2009 after a 0.1% contraction in 2008. The only bright spot is inflation which is forecast to drop to 1.4% in 2009 after a 2008 average of 3.3%. These figures are distorted by changes in the goods and services basket which has become unaligned with actual consumer needs by overweighting those goods that rose slowest in price while reducing the weightings of government and private services. Austria's stellar savings quota of 12.7% of disposable income is expected to rise to 13.6% in 2009 and 13.7% in 2010. But this high savings rate distorts the real picture stemming from a continually growing gap between the wealthy and the growing class of the working poor. My anecdotal evidence shows that both consumers and companies have been shelving plans for outlays due to a very cautious behavior of Austrians in the light of bad news being reported on a daily basis. As in most European countries big ticket items are getting harder to sell with every new day, hitting especially consumer goods sales. A multitude of recent bad economic data has lead to a record rate cut in the Eurozone. On Thursday the European Central Bank (ECB) cut its leading overnight interest rate 75 basis points to 2.50%, accelerating the downward spiral of interest rates after two 50 basis point cuts in October and November. The strong move signals the willingness of the ECB to lend governments a helping hand in overcoming the current Eurozone recession that will become official in the next weeks. According to a first estimate by Eurostat the Eurozone economy continued on a downward path in Q3 2008, recording another quarterly contraction by 0.2% of Eurozone GDP. It has to be seen yet that the aggressive loosening of monetary policy will bring another result than monetary inflation only. In the press conference following the rate setting meeting ECB president Jean-Claude Trichet warned not to mistake lower goods prices for a deflationary environment. In his introductory statement, Trichet credited mainly sharply lower inflation - which has receded from a record 4% in July to 2.1%, remaining only a tick above the ECB's target rate of 2% or less - for the radical rate cut. The significant decline in headline inflation since the summer mainly reflects the considerable easing in global commodity prices over the past few months, which more than offsets the impact of the sharp rise in unit labour costs in the first half of this year. Looking forward, lower commodity prices and weakening demand lead us to conclude that inflationary pressures are diminishing further. The annual HICP inflation rate is expected to continue to decline in the coming months and to be in line with price stability over the policy-relevant horizon. Depending primarily on future developments in oil and other commodity prices, a faster decline in HICP inflation cannot be excluded around the middle of next year. This outlook has also led to sharply lower inflation expectations, said Trichet. Consistent with this assessment, the December 2008 Eurosystem staff projections foresee annual HICP inflation of between 3.2% and 3.4% for 2008 and declining to between 1.1% and 1.7% for 2009. For 2010, HICP inflation is projected to lie between 1.5% and 2.1%. The HICP inflation projections for 2008 and 2009 have been revised downwards substantially in relation to the September 2008 ECB staff projections, reflecting mainly the large declines in commodity prices and the impact of weakening demand on price developments. In his monetary analysis Trichet pointed out that money supply growth, at 8.7% almost double the reference rate of 4.5%, continued to show signs of further depreciation, although at a high level. An intensification of the market turmoil since mid-September has not yet shown up in money supply due to shift in the M3 components itself, he said. The most recent money and credit data indicate that this intensification has had a significant impact on the behaviour of market participants. Thus far, such developments have largely taken the form of substitution among components of the broad aggregate M3, rather than sharp changes in the evolution of M3 itself. The latest available data, namely up to the end of October, reveal a continued moderation of the growth rate of loans to the non-financial private sector. At the same time, for the euro area as a whole, there were no significant indications of a drying up in the availability of loans. The annual growth rate of loans to households also moderated further, in line with the weakening of economic and housing market prospects and tighter financing conditions. Summing it all up Trichet warned that risks to economic growth were sustaining. He saw the possibility that Eurozone growth could retract further while inflation shoukd remain below record levels due to diminishing demand. To sum up, there is increased evidence that inflationary pressures are diminishing further and inflation rates are expected to be in line with price stability over the policy-relevant horizon, supporting the purchasing power of incomes and savings. The decline in inflation rates is due mainly to the fall in commodity prices and the significant slowdown in economic activity largely related to the global effects of the financial turmoil. I would not buy Trichets complacency. The latest weekly financial statement of the ECB shows no structural improvement. Banks are still limping around with the help of more than one trillion Euros with bank credit. This monetary expansion will act as a strong counter force to efforts for lower inflation rates. Monetary inflation will begin to seep through into the real economy with a time lag of 6 to 15 months, menaing the Eurozone could be in for a bad price surprise next year.